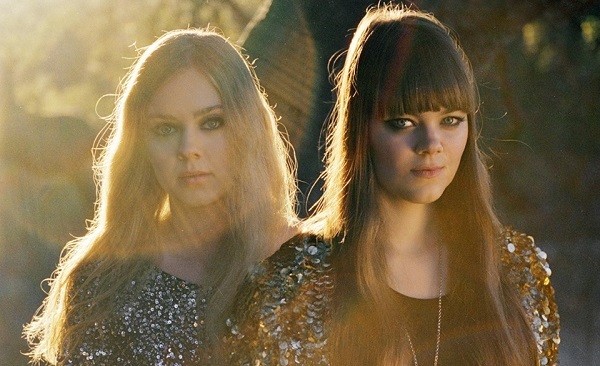 Following a hugely successful 2014, Sweden’s sisterly folk-pop duo First Aid Kit are continuing to promote Stay Gold, one of my personal favorite records of last year. The animated accompaniment to “Master Pretender,” directed by Kyle Cogan, serves as a lyric video of sorts, featuring cartoon versions of the Söderberg sisters as they journey through various landscapes and atmospheres, joined by rockets, balloons and several animals, both real and mythical. It’s beautifully rendered and perfectly accentuates the warming and frolicsome nature of the excellent Stay Gold cut. You can view the video below, and be sure to catch First Aid Kit on tour in the coming months as they explore the UK, Sweden, Australia and more into the Summer.